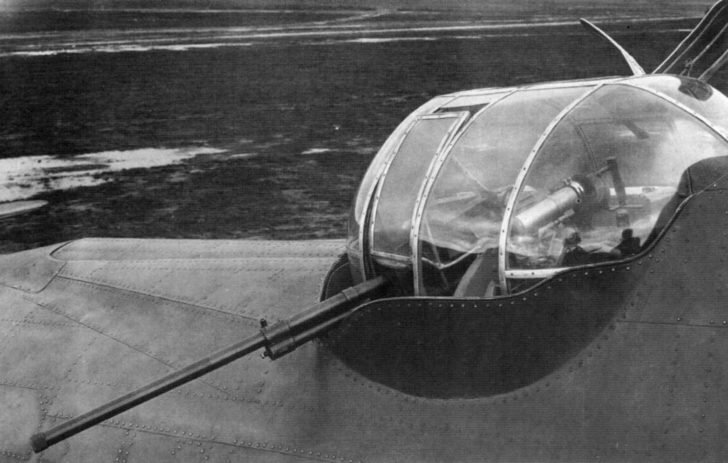 TAT upper defensive installation with a 20-mm ShVAK cannon of the Soviet bomber TB-7 (Pe-8) 4AM 35A No. 421806. Ammunition ShVAK gun was 200 shots.